Lockheed Martin Subsurface Utility Engineering Services | DRMP, Inc.
Lockheed Martin requested their engineering consultant to update their utility records within the limits of their Sand Lake Road Missile and Fire Control facility. The existing utility records they had been using were outdated and often inaccurate due to 50 years of reconstruction and updating underground facilities on the plant property. DRMP provided updated underground utility information by starting with Quality Level “D” Utility Research which established all utility owners and secured as-builts and other utility information to begin designation. A Quality Level “C” Site Visit Investigation was then conducted of the areas defined within the project limits and on site investigation was performed to establish utility connection points to assist during designation and to identify any safety hazards that might be encountered during the designation phase. Quality Level “B” Designation of the project was coordinated with the engineering consultant and Lockheed Martin personnel to mark the most critical areas first by using Electromagnetic (EM), Ground Penetrating Radar (GPR) and the Utility As-builts, collected during the research phase. 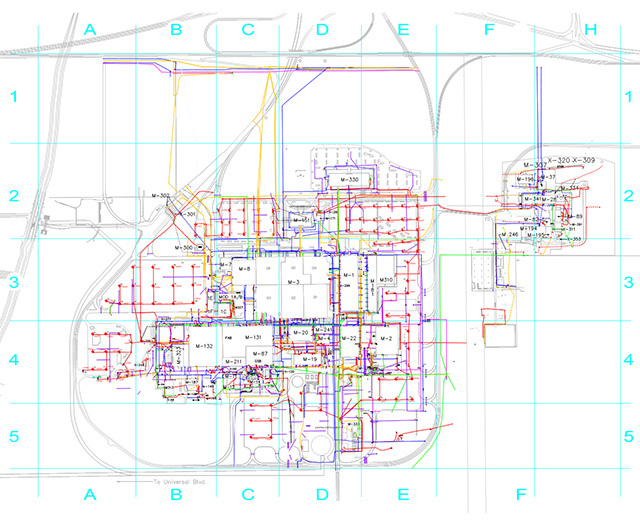 Once each area was completed, a field sketch of utilities was created by the designation teams and given to survey technicians for the mapping effort. 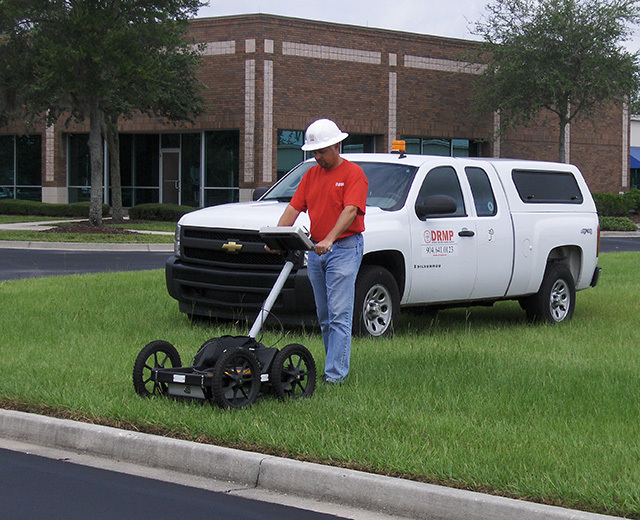 Survey information was collected and added to the topographic view of the areas marked and plans where checked for accuracy and sent back to the engineering consultant for their quality edits. This process produced the most accurate utility prints of the project available for main plant operations and new construction within the plant. Once the critical areas were established from the Designation phase, a Test Hole Plan was produced. Quality Level “A” Location was performed of the test holes with vacuum excavation to establish the exact horizontal and vertical position at each critical location. 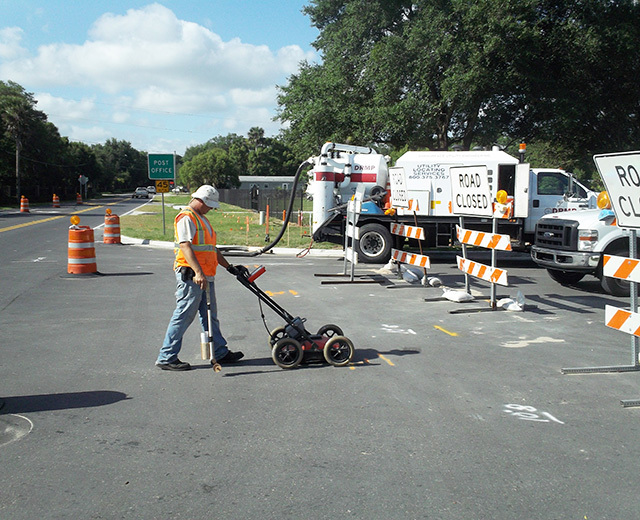 A survey was then performed of the test hole, data collected and adjusted utility mapping using the survey and test hole data forms to complete mapping effort to develop the most accurate inventory of underground utilities created to date. 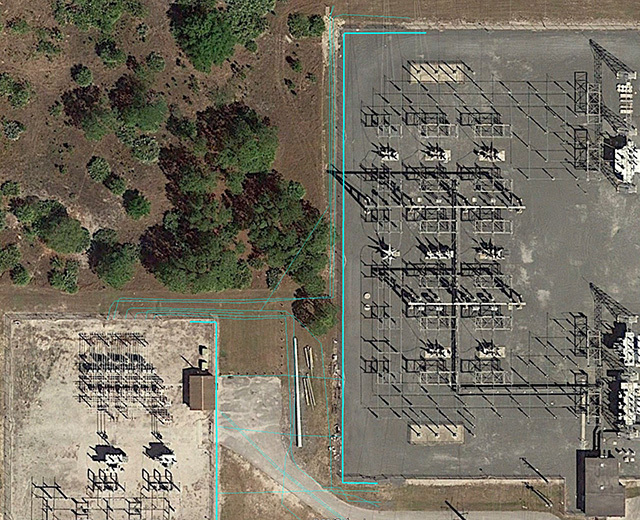 DRMP produced a set of utility maps for the plant identifying existing utility lines, both active and abandoned, and provided this information in a CAD format. This allowed Lockheed Martin to have an accurate assessment of existing underground utilities in the main plant area for future construction and troubleshooting infrastructure problems. By providing the information in a CAD format, Lockheed Martin has an added advantage to continue to update their information as they reconstruct areas. The format also provides the ability to export to another database format, such as a ArcGIS.